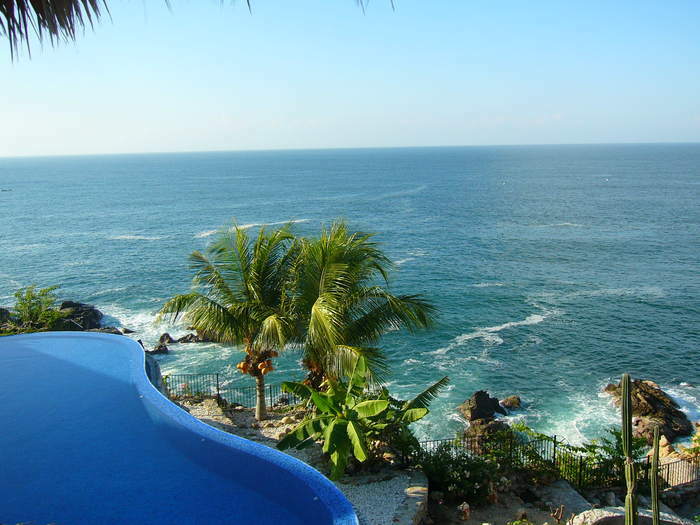 The property for sale is located in Puerto Escondido, Oaxaca in Mexico. 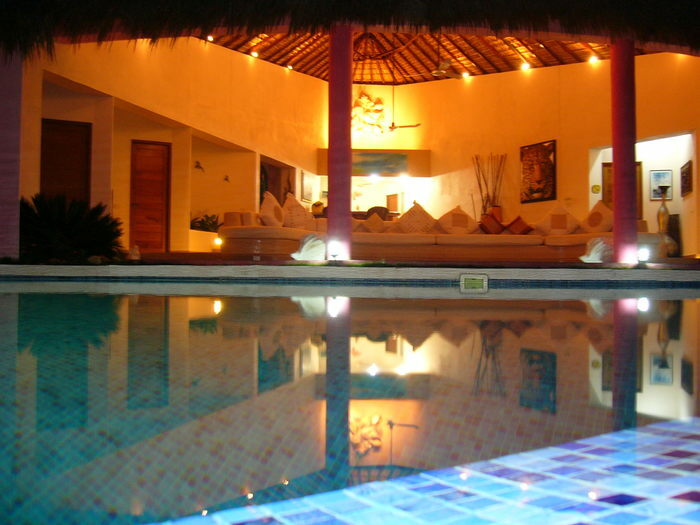 The best way to describe the property is to imagine paradise and then imagine Cactus Escondido. The property was built in 2006 by a renowned Mexico City architect and is located in a gated community in the most prestigious site in Puerto Escondido. Taking full advantage of the Pacific Ocean spread out in front of it the property boasts 5 defined bedrooms and a studio that converts into another bedroom making 6. There is also a staff house and a garage that can fit two cars. 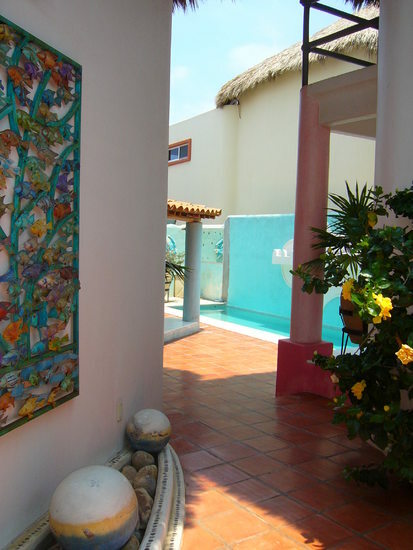 The property is comprised of the main house that sleeps up to 8 and two casitas that sleep 2 people each making a total of 12 for the complete property. Built with nature in mind the property has many palapas that reflect the traditional architecture of the Pacific. 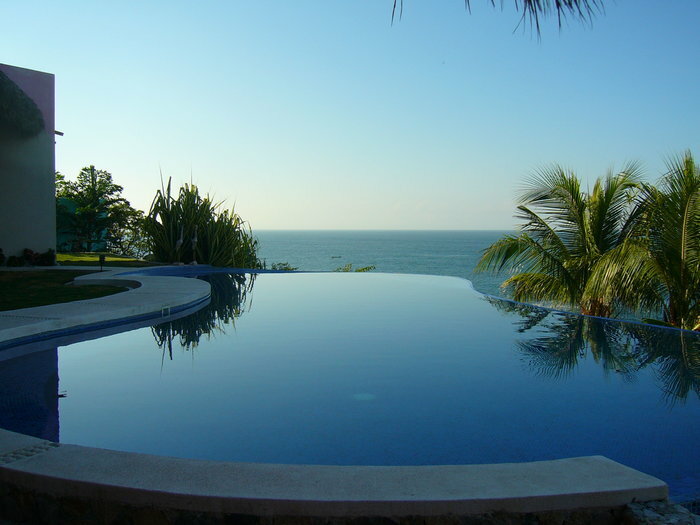 There is one infinity pool with a beach and a normal pool plus a Jacuzzi that nestles in the rocks and overlooks the ocean. The property also boasts an incredible sunken dining area with a tropical wood table, an amazing outside bar and a dining area with a granite table as well as other dining facilities. There are four ensuite bathrooms (two with a bath and one with an enormous walk-in shower). 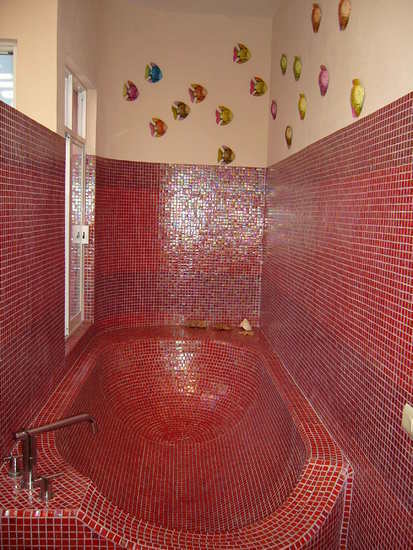 Each casita has a bathroom with a shower. The main kitchen has a granite island and breakfast bar and there is a separate laundry - utility room. You have the option of increasing the height and width of the property if you require. Puerto Escondido, once famed for coffee growing is now famous for the Mexican Pipeline surf beach Zicatela and the crystal-clear waters of Carizillio beach which is great for snorkeling. Angelita and Manzanillo beaches boast great little restaurants where you can enjoy traditional Mexican food. La Bahia is a fantastic place to watch the local fisherman land their boats onto the beach and bring in the catch of the day or enjoy a margarita as you watch the sun slip into the ocean. All beaches are palm-fringed with yellow-white perfect sand. In season you don't have to stir so far - most beaches are a short stroll away but why would you go so far when you have Cactus Escondido? You can watch whales migrating from the downstairs or from the palapa of the house. From the infinity pool there is always the chance of spotting a passing school of dolphins or if its the skies you are looking for check out the pelicans or at night - its the perfect shooting star observatory. In short Cactus, Escondido is a paradise destination for those seeking their own personal dream of utopia. The property comes fully furnished and this includes bespoke wooden furniture. There are also bespoke sofas and dining furniture.